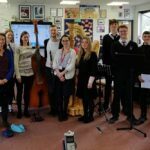 Lucy Davies, Meriel Paget and Coen Cadwell found out what university education is like with a day of tuition from Royal Welsh College of Music and Drama lecturers. Jazz improvisation and Minimalist composition were offered from the Music department while the Acting coaches gave a master class in a range of drama skills. 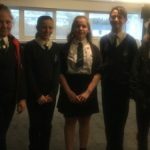 After a walk around Sofia Gardens the pupils were taken to The Sherman theatre to see the college’s postgraduate pupils in an exceptional performance of Stephen Sondheim’s Company. 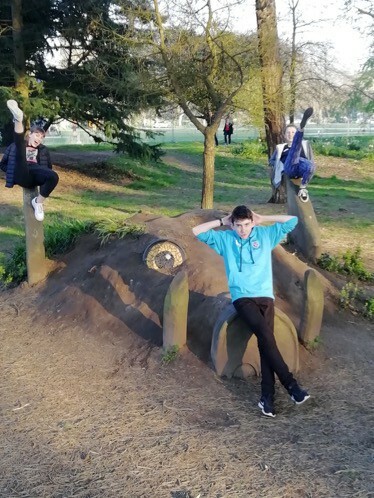 Not only did the day help improve the pupils’ music and drama skills but it also gave them a real indication of the standard of performance needed to excel at higher education level.